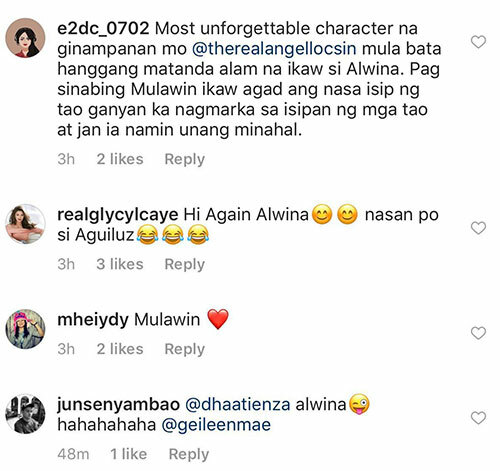 Angel Locsin took a trip down the memory lane when she posted a throwback photo of Alwina, her character in GMA-7's defunct fantasy series Mulawin. She wrote on her December 9 Instagram post, "If you're a bird, I'm a bird..."
Angel's caption was a line from Nicholas Sparks' novel-turned-movie, The Notebook. At press time, the post has already received over 88,500 likes. 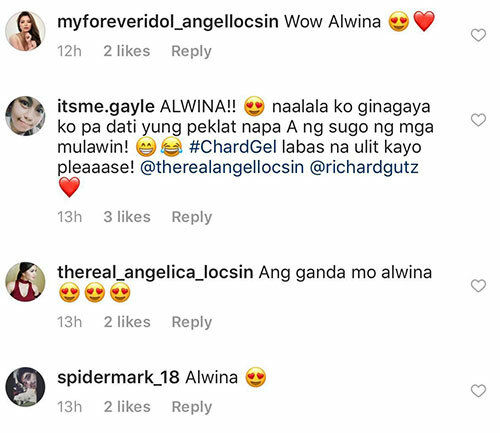 Most of the netizens expressed how much they miss Alwina and Angel's love team with Richard Gutierrez. Alwina, one of Angel's most iconic roles on TV, was a humanoid bird who was deemed as the "sugo" of the Mulawin. 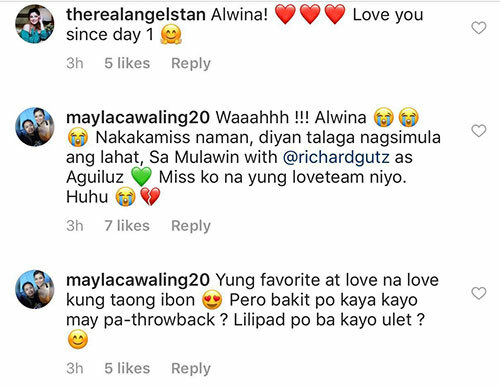 Alwina's love interest was Aguiluz, Richard's character. 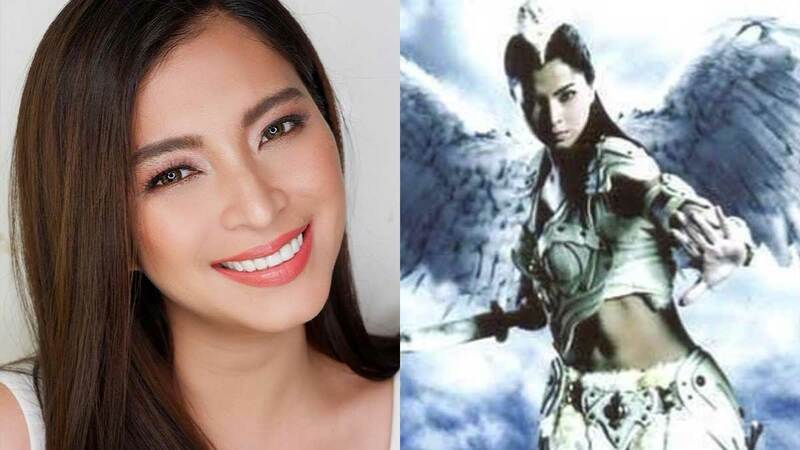 This was not the first time Angel shared a throwback post about Mulawin. 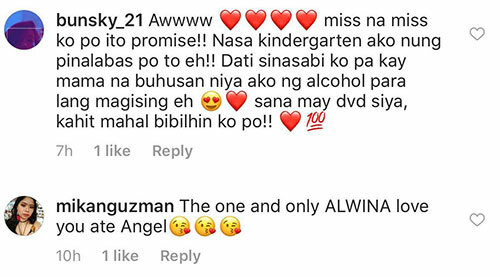 On June 16, 2016, Angel put out a clip of Alwina from Mulawin's movie version in 2005. Mulawin, which ran from August 2004 to March 2005, is considered as one of GMA-7's most successful projects. Former ABS-CBN President and now Chief Content Officer Charo Santos-Concio even admitted in her book My Journey that Mulawin was one of the shows that caused a plunge in the ratings of the Kapamilya network during that time. Meanwhile, the success of Mulawin allowed Angel to top-bill more big-budgeted projects of GMA-7 such as Darna (2005), Majika (2006), and Asian Treasures (2007). In 2007, Angel surprised everyone when she decided to transfer to ABS-CBN. This became a big controversy since she was already named as the star of Marimar, which was eventually given to Marian Rivera. In 2017, ten years after Angel's much-talked-about departure from GMA-7, her Mulawin love-team partner Richard also signed with the Kapamilya network. At present, Angel is looking forward to her teleserye comeback via ABS-CBN's The General's Daughter. The 33-year-old actress has been actively posting promotional materials for her upcoming show, which will air in 2019. On December 7, Angel posted a photo with the production and promo teams. The General's Daughter is under the helm of Dreamscape Entertainment, one of ABS-CBN's drama production units. On December 5, she regrammed a photo from the account of Janice de Belen, one of her co-stars. Angel wrote in her caption, "'Once in a lifetime' type of women." Eula Valdes is part of the cast as well. Here's Angel's group photo with the cast present at ABS-CBN's November 27 trade launch. Seen in the photo were: JC De Vera, Janice de Belen, Loisa Andalio, Ronnie Alonte, Albert Martinez, Paulo Avelino, ABS-CBN Chief Operating Officer Cory Vidanes, Eula Valdes, Ryza Cenon, and Angel. Maricel Soriano, Tirso Cruz III, and Arjo Atayde are also part of The General's Daughter, which is Angel's full-length teleserye comeback after her hit 2014 series The Legal Wife. Her last teleserye appearance was in the 2017 fantasy series, La Luna Sangre, where she had a special participation as Jacintha Magsaysay.